Probiotics for Kids became essentially necessary and mandatory given our peculiar pattern in Modern Diet, Eating Habits, Parental Lifestyles and Eating Out Syndrome! First, busy parents have made eating out a routine in family meals compared to our parents where a meal means at the family table. Double working parents put the childrens' diet in the hands of restaurants or eateries who emphasises on taste rather than quality or value of food. Balanced diets becomes questionable and dietary supplements becomes necessary! 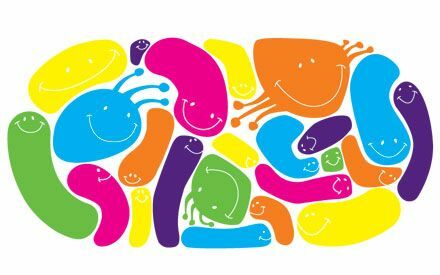 More so than ever, the need of probiotics for kids. Modern working mothers also find breastfeeding inconvenient. Hence, babies are now unable to get breast milk which contain all the necessary colostrum, enzymes and prebiotics so needed to kick-start the bacterium colony in the baby's intestinal tract. Breast milk contains colostrum to quickly boost up baby's immune system and ward off attack from pathogens floating in the atmosphere. Without breast milk, a baby faces bigger infantile mortality risks. Prebiotics milk containing FOS with equivalent probiotics bacterium counts in infant milk formula are hopeful alternatives. In the event of non-breastfeeding, it may be necessary to supplement infant feed with suitable probiotics to build the baby's immune system. For the dosage, do consult a medical doctor according to the need and condition of the child. Baby's put everything into their mouth, ingesting all kinds of germs and bacteria that may cause diarrhea. While we cannot always monitor what the baby eats from the floor or what they chew on the toys, do ensure there is at least, a probiotics and diarrhea program at hand. Adding baby probiotics into infants milk and foods will help address the constant visit to doctors because of diarrhea. Worse, the doctor will prescribe antibiotics and aggravate the conditions further. Probiotics and diarrhea is the answer to baby's habit of putting whatever into their mouth. While the types of probiotics for kids may take many types and form, powder probiotics are most suitable for childrens consumption. Powder probiotics are easily mash-able into food, dissolved into milk or drinks and even pour directly into mouth for ingestion. Kids' probiotics come in favourable flavours these days, mainly citrus and sweetened with honey or Fructo-oligo polysaccharide. So consuming them is like have a candy or sweet. Parents do, they follow and that play and fun for them like a game with their parents. The most important factor, however, given our modern fast food diet, busy parental lifestyles and the frequent eat out syndrome, probiotics for kids is not only essential. It is mandatory to supplement their diet with probiotics to ensure a healthy development of their immune system. One thing is for sure, those on probiotics dietary supplements will be lighter on your wallet on medicals bills incurred due to constant illness. You will save time on the constant trips to the doctor's clinic for cold, fever and cough treatment! Probiotics for children are lifeline for modern parenting. It is essential for improving health and immune system strengthening for the child. Parents save money on expensive medical bills which these medication exposes them to a worse off condition of antibiotics, the killer!